Heat gas or charcoal grill. Wrap tortillas securely in heavy-duty foil. When grill is heated, place hot dogs and tortilla packet on gas grill over medium heat or on charcoal grill 4 to 6 inches from medium coals. 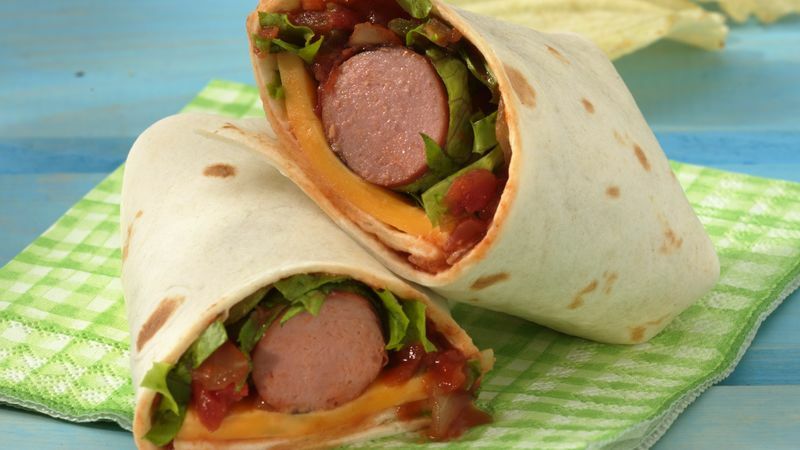 Cook 5 to 10 minutes or until hot dogs and tortillas are thoroughly heated, turning hot dogs frequently and turning tortilla packet once halfway through cooking time. On each warm tortilla, layer salsa, lettuce, hot dog and cheese. Fold in 2 sides of each tortilla; roll up.